Courtesy of Ali Hoffman Sloan. New businesses often start with a problem, an idea to fix it, and an innovative and driven person who dedicates time and resources to make it a reality. The best companies are ones that can solve a problem that is felt by a broad group. That is why women are some of the most innovative people in business. Not only are they more empathetic and can tap into others' needs, but they also lie within the largest consumer group themselves. Businesses like Sloan, Birdies, and The SIL all fall into this category. These female-founded companies are doing something a little different by filling a niche within the market that's always been missing. Each thought of a product or platform they wished was around, and decided to take on the task themselves. In honor of the last day of Women's History Month, we asked the founders of each of these incredible companies to share what it took to make their ideas into real profitable businesses. We hope these awesome stories can give you a little inspiration for your own career goals. Courtesy of Sloan; Courtesy of Ali Hoffman Sloan. 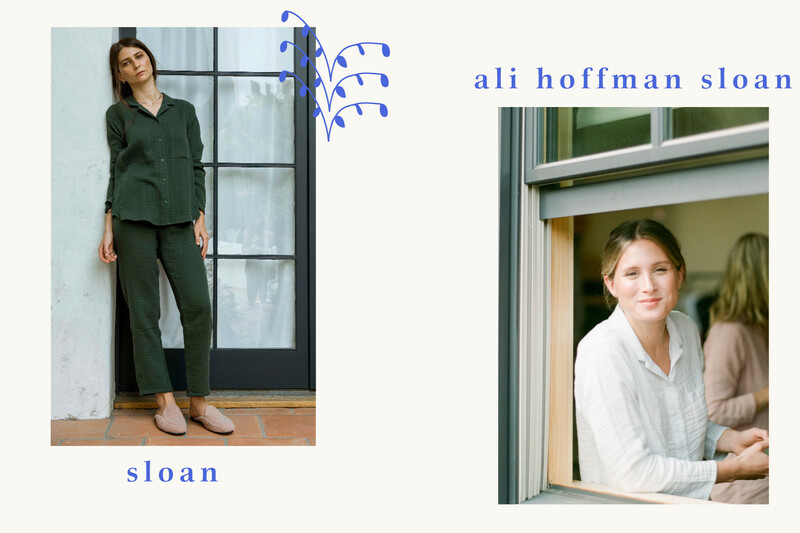 While Ali Hoffman Sloan now runs the namesake uber-cozy pajama company Sloan, she originally got her start in a different field. "My background is in editorial. Right after college, I interned at GQ in New York," explains Hoffman Sloan. "From there, I moved on to NYLON, where I worked on the digital side. I was at NYLON for a few years before moving back to Los Angeles to become the L.A. editor at Refinery29." Her transition came from a wish to work on something more tangible. "After working in online editorial for so long, I felt a strong desire to step away and create something off-screen that I could touch," she shares. "I noticed a gap in the market for minimal, comfortable, well-made pieces that weren't intended for exercise or strictly pajamas. I wanted to have a uniform I could sleep in, but also wear out of the house and feel completely put together. Pieces you can relax and feel like yourself in, but more elevated than your sweatpants and workout leggings." That idea transformed into what Sloan is today. Of course, starting up a business takes a lot of hard work. "I gave myself a good nine months to perfect the product before even thinking about launching," Hoffman Sloan explains. "Because our line is evergreen and we continue to add rather than start anew each season, I knew each design needed to be exactly as I intended. So that translated to lots and lots of samples." "I think the biggest hurdle when first launching was sourcing the right fabric. I knew what I wanted and it took a really long time to find it," she notes. "After that, finding the right production team took some time as well. In the end, we found a great cut and sew team in downtown Los Angeles, which is very convenient and sustainable. " One major helping hand to get the brand off the ground came from Hoffman Sloan's husband Max. Together the co-founders balance the responsibilities to make the company tick. "Max and I debated for a bit about whether or not we should partner up to launch Sloan," shares Hoffman Sloan. "My biggest concern obviously was not wanting the business to ever disrupt our relationship. Ultimately, we realized that our strengths were in completely different areas, which really was to our benefit. I handle everything on the creative side, and Max deals with more of the practical, business end." While starting a business is hard work, Hoffman Sloan shares it's definitely worth it. "The best part is definitely hearing how much people love the product. A huge percentage of our sales are repeat customers, which is truly the highest compliment," she says. "I also love the entire production process. Even though going through several rounds of samples can be frustrating, it’s very fulfilling to ultimately create a garment exactly the way you want it." The next step for Hoffman Sloan is to continue growing and bringing the company into a new chapter. "In the next couple years, I’d really like to expand and launch a range of men’s pajamas and Sloan for baby," she shares. Looking for a comfortable shoe that's also super stylish? Then you need to check out Birdies. Founded by Bianca Gates and Marisa Sharkey, the company was started to find footwear that really worked for the modern woman. "My background is actually in tech, heading up retail partnerships at Facebook and Instagram and my co-founder, Marisa Sharkey, is a former Ross Stores executive," shares Gates. "Neither of us were fashion experts, but we both had a drive to fix a problem we both saw in the women’s shoe market. Birdies was born out of the inability to find a fashionable, indoor slipper." "My home is a revolving door of neighbors and friends and we are always entertaining, but I like to kick off my outdoor shoes at home and needed something that looked polished enough to wear while entertaining in the home, but still had that cozy, yummy feeling of a slipper," she says. "When we started seeing customers wearing them outside the home to run errands, we quickly realized that we were solving a problem bigger than we initially imagined." While Birdies didn't begin as a business plan, it inevitably fell into that path for the co-founders. "We were not necessarily seeking an entrepreneurial venture, but we were so passionate about the idea that it just made sense," says Gates. "Marisa and I first contemplated starting Birdies in February of 2015. By November, we had launched our first collection and a year later, we were showing up in major holiday gift guides and worn by many celebrities and influencers. Once we made the decision to go all in, there was no turning back." Naturally, Birdies became a hit, and the founders have loved being able to its amazing reception. "It has been so rewarding to see the overwhelming response from customers and realize that other women are as excited about the shoes as we are," Gates shares. "Women everywhere are clearly looking to toss their frumpy old slippers and replace them with fashionable ones too! It has been incredible not only to see the company’s growth but to also hear the stories from the customers themselves about how they are embracing and loving the product, and coming back for more. And to top it all off, working alongside an incredible team of women that support one another everyday has made it all the more rewarding!" While plenty of orders is something every new company wants, it does come with its challenges. "We’ve been fortunate to receive such amazing support - from Meghan Markle and other celebrities sharing with their networks, to opportunities to partner with creative leaders such as Ken Fulk," notes Gates. " However, keeping up with demand has been a ongoing challenge — Birdies had a 30,000 person waitlist at the beginning of this year, so it’s a constant learning process." Considering starting up your own business? Gates has some advice. "Pursue what is meaningful to you, and don’t let others tell you otherwise or conform to others’ expectations," she shares. "It’s up to you to define your own path. Becoming a successful entrepreneur is also not something that you can accomplish alone, so don’t be afraid to ask for help. We would not be where we are today without the help of countless people and our amazing community of supporters." Photographed by Mornoe Alvarez for The SIL; Photographed by Bradley Meinz for Natalie Bloomingdale. 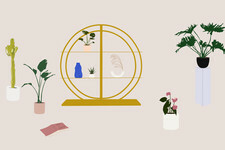 The SIL (short for Stuff I Like) is a fashion commerce site by Natalie Bloomingdale that curates exclusive designs from incredible not-so-well-known designers. In addition to selling their products, the site also profiles each creator, giving a much more personal experience to the shopping process. explains Bloomingdale. "I created The SIL in reaction to that, so it serves as a conduit really, giving access to exclusive pieces and providing a platform for these talented designers." Creating an intimate, personal environment was always at the root of The SIL. "I didn’t want to create just another fashion e-comm site. I knew I wanted to provide an uncommon retail experience," Bloomingdale shares. "To that end, all of the models are actually dear friends of mine, and my precious dogs make an appearance in many of the photos. I love my photographer’s eye — he really understands what I’m trying to communicate and nails it every time. My website designer is a friend from my tiny hometown of Vernon, Texas. The SIL is like a little tribe." Of course, as the company has grown, it has been able to branch into a larger sphere. "It has been incredibly rewarding to see the company evolve," says the founder. "When we launched, the designers were personal friends of mine or brands I supported, and now, we have on-boarded lines whose creative leads I have still never met in person! 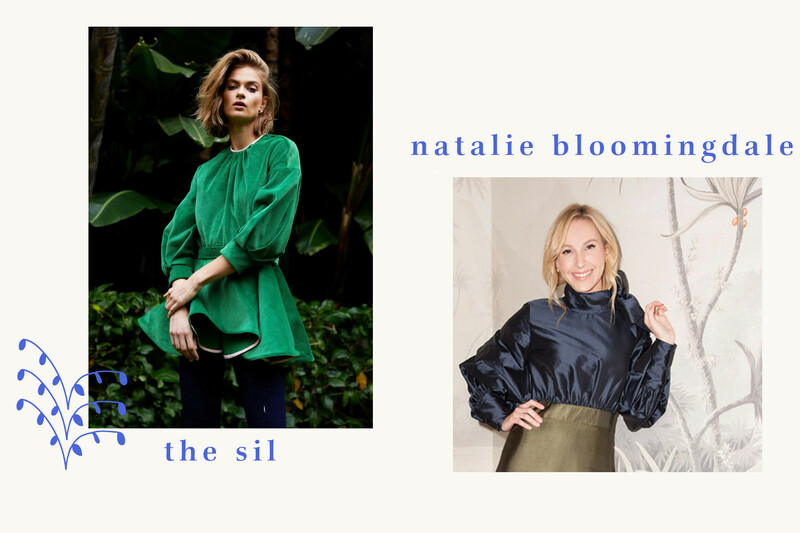 One of the purposes of The SIL is to widen each designer’s network of support and admiration, and I feel like we are organically achieving that." One of Bloomingdale's favorite experiences with her company so far has been a collaboration with an iconic L.A. location. "During the branding process for The SIL, I wanted to evoke the essence of The Beverly Hills Hotel, since the optics have such a positive connotation for me," she shares. "For example, we use green and white stripes in some of the packaging, and The SIL’s logo incorporates a script similar to that of the hotel's. 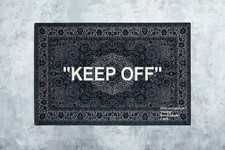 It came full circle when The SIL did the storied hotel’s first capsule collection — the first collaboration of its kind." "I tapped five designers to create a piece that paid homage to not only our shared color palette but also our shared appreciation for timeless style," Bloomingdale explains. "We celebrated the unveiling in the format of a two-day trunk show at The Beverly Hills Hotel. To have my favorite designers coalesce with my favorite setting for a beautiful fashion moment was a remarkable feeling." 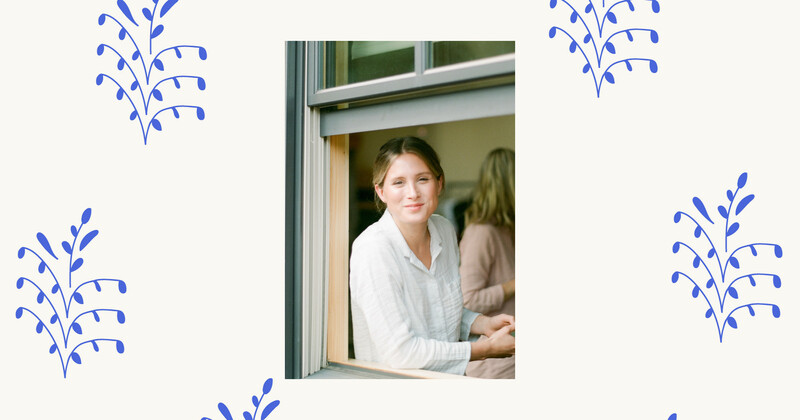 "Starting your own business opens up a certain vulnerability – there can be moments of self-doubt that have to be overcome," shares the founder. "I think the best advice is what my dad used to tell me every day when he dropped me off for school which is, 'Do your best! Be the best you!'"